Real-Time Streaming. Reactive Microservices. Converged. Schedule a demo Why Real-Time? Lightbend Platform is the most operationally robust solution for deploying Reactive Microservices, adding the ability to infuse your applications with intelligence based on real-time streaming and Machine Learning (ML). Cloud-native infrastructure like Kubernetes requires a cloud-native application architecture to be truly performant. Lightbend Platform enables you to deliver responsive, globally consistent systems at scale, backed by self-healing protocols that automatically protect your business systems—from code to cluster. Harness the power of stateful, data-driven services deployed in an efficient, stateless way with Akka and Kubernetes to guarantee global consistency. Go beyond simple fault tolerance with automatic self-healing in your clusters—across services, nodes, and networks. Increase performance and responsiveness with less infrastructure resources, regardless of your deployment environment (public/private cloud, hybrid cloud, on-premise). One service by itself is nothing—Reactive Microservices come in systems. Lightbend Platform enables teams to deliver scalable, self-healing systems of microservices, web and application services with the right persistence strategies in place for handling unexpected issues gracefully. Build, deploy, and manage systems of Reactive Microservices in Java or Scala, where developer performance, modularity, and isolation to handle failures gracefully are all part of the foundation. Create the right services for the job with support for RPC-style, backend microservices as well as Reactive web and application services based on gRPC, REST, HTTP2, and JSON. Powerful, native persistence strategies like Event Sourcing and Command Query Responsibility Segregation (CQRS) supported by Apache Kafka, Apache Cassandra, and IBM DB2 ensure data consistency across your clusters. Remaining relevant as a business means extracting value from data in real-time. Lightbend Platform delivers the ability to handle never-ending data streams at scale, so you can offer new user experiences and use Machine Learning for continuous improvements—all in real time. End-to-end enablement of applications to support the consumption and transformation of streaming data resources, making it useful for downstream applications. Create new user experiences based on data before the value erodes, including real-time decision making, real-time recommendations, and sensor anomaly detection. Serve analytics and machine learning to applications in real-time, supporting cohesive fast data pipelines, steaming ETL, and DAG, as well as technologies like Spark MLlib and Tensorflow. Finding bugs once in production is the stuff of nightmares. Lightbend Platform provides system-wide observability of your Akka, Lagom, Play, and Scala applications from Day 1, so you can verify regularly in development and operate with confidence. Develop applications with system-wide monitoring in place from the start, including support for Grafana and Prometheus. Avoid embarrassing mistakes by ensuring that app configuration and behavior are correct before going into production. Deep visibility, customizable metrics, and configurable alerts let you operate distributed systems with confidence. Ensuring the security and global compliance of your distributed systems can be difficult. Lightbend Platform helps you protect your code and continuously comply with legal requirements and security standards. 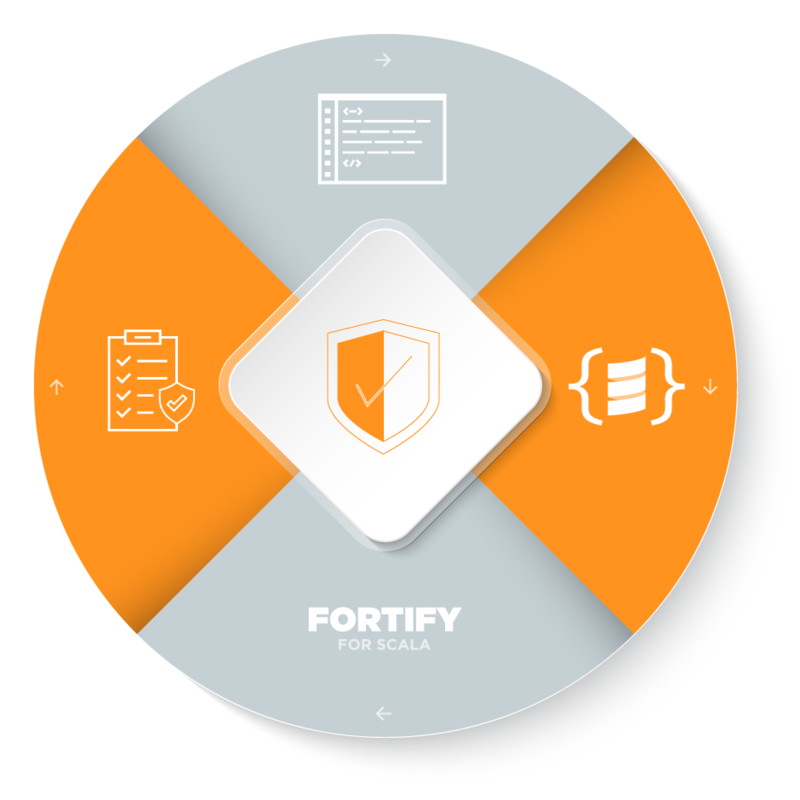 Detect and prevent over 200 application-level vulnerabilities with the Scala Fortify plugin, developed by Lightbend and Micro Focus (formerly HPE). Native support for encryption, data shredding, TLS enforcement, and continued compliance with GDPR. A subscription to Lightbend Platform includes warranties, legal indemnification, and commercial licensing for OSS technologies. Got 20 minutes? Let’s discuss new possibilities.